I thought there are no caves in Finland, but there are some! 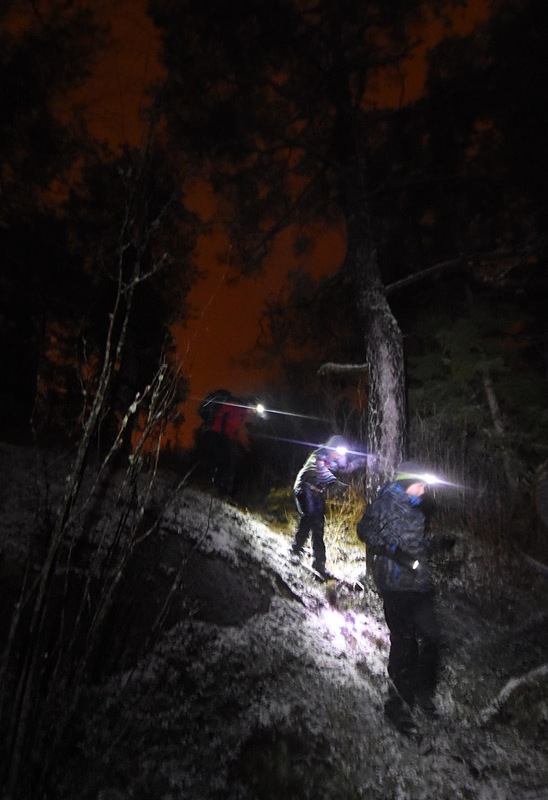 This weekend's adventure was to visit the specially formed Högberget flow-erosion cave. 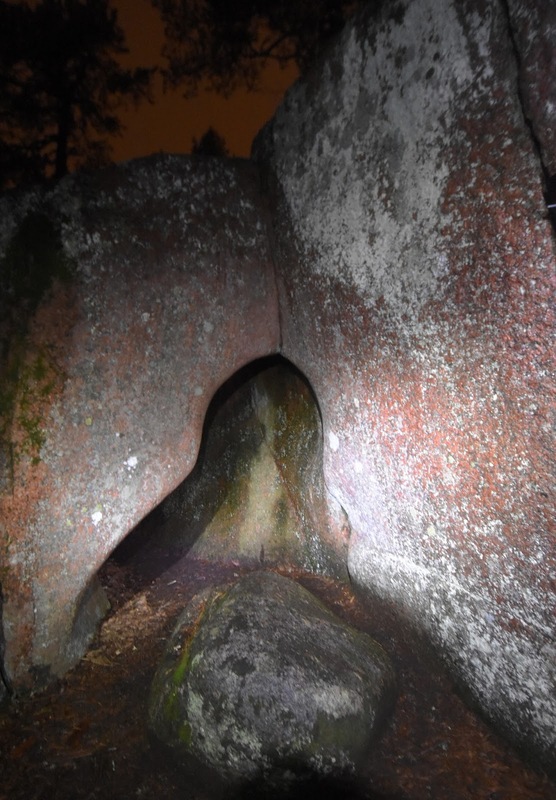 For a long time I thought there are no caves in Finland, and that there are only few exceptions. But there are many, though all of them are small. 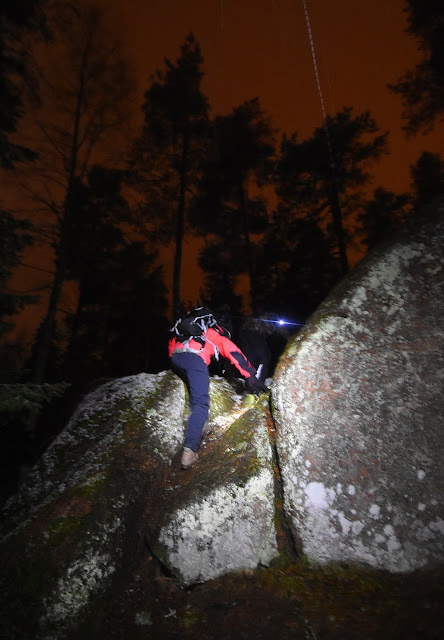 The Finnish Caves (Suomen Luolat) book lists 165 different caves. But we decided to make a visit. 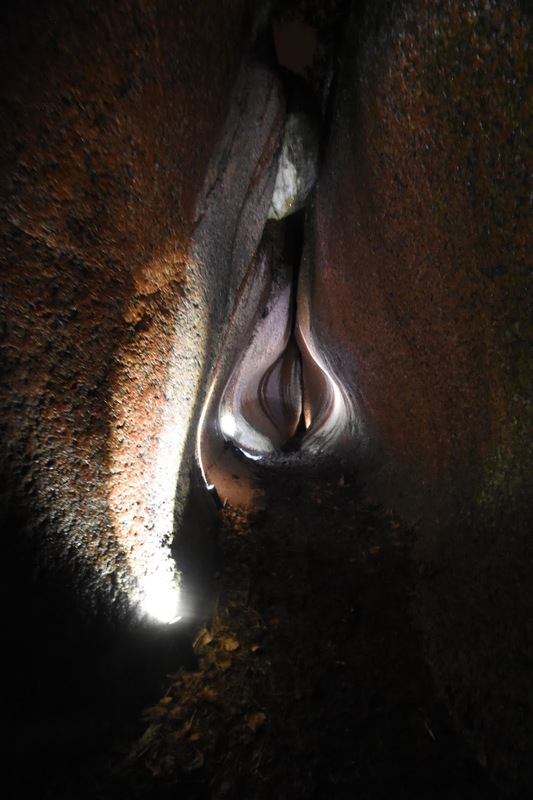 The cave has been formed during ice age, as water flowed through a crack in the rock. The form of the cave is pretty exceptional. The best way to find the cave is with GPS coordinates: N 60° 6.418' E 24° 29.191' (WGS84). But the way to the place goes through rocks, slippery moss, snow (at least today), and cliffs, so it will be slow going. Take it easy! We spent about two hours on the trip, even if it is just 500 meters from the road. But the cave is worth a visit! Photos and videos (c) 2015 by Jari Arkko. This blog is also available from the TGR site. Tämä blogi löytyy myös suomeksi.